A comprehensive listing of local government offices and legislators for Stark County, Ohio. 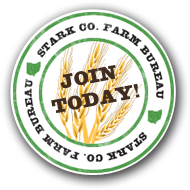 To request a free copy of these brochures please email stark@ofbf.org. Ohio’s Right to Farm Law: This brochure talks about the Right to Farm law in Ohio. What an Agriculture District is and how to form one. CAUV: Current Agricultural Use Valuation: This brochure will give you a brief explanation how CAUV works and why it is important for farmers to be in this program. Ohio’s Line Fence Law: Learn what the line fence law is all about and how it will affect you and your neighbors. A Landowners Guide to Oil and Gas Leasing in Ohio: Read about what to consider when signing and oil and gas lease in Ohio. Open Burning in Ohio: Make sure you understand the law when it comes to open burning in Ohio. Ohio Dog Laws: What do they mean for dog and livestock owners in Ohio? A brief look at the laws in Ohio and how they can affect you. Drainage and Water Laws: Learn more on how the laws work in Ohio. Trespassing and Landowners: What is the law and how does it affect landowners in Ohio? Eminent Domain: A guide to the eminent domain process and available landowner protections. All Purpose Vehicles: Information on registration requirements and trespass protections for ATVs and other all purpose vehicles. Zoning and Land Use: This brochure seeks to help landowners understand what re permissible zoning restrictions that can be applied to agricultural activities on their land.